Are most mission trips actual mission trips or are they service trips, road trips or simply tourism-plus trips? Is it word-confusion? Maybe it’s just a matter of semantics? Perhaps it’s a “po-tay-toe or po-tah-toe” deal? Mission is certainly not a faith-specific word, however, I do believe the original mission Jesus called the first-century believers to was certainly a mission of faith-making! Plain and simple: I believe that a mission trip should, primarily, be for the purpose of disciple-making. Before I am dismissed as a Bible-thumping, evangelism-freak, please understand that I firmly believe that we must show the character qualities of Jesus as we share the words of Jesus (especially as they relate to eternal life). A mission trip should have the end-game or ultimate goal of more people trusting Jesus for salvation. This does not mean that every trip will be evangelistic in nature, however, I do believe a bridge to the great commission should be able to be made, explained and trained! Unfortunately, I get the sense that very few mission trip participants are making the connection (to the eternal) or receiving training. Youthmark distributed Pray21 books to all participants at the National Youth Workers Convention (NYWC) and did a giveaway of an iPad mini at the Verge booth. In the few hours I spent at Verge I asked any/all who came by to register for the iPad a few missions oriented questions. Youth Leaders were very quick to give the answer to the “where do you go?” and “what they did” but only a couple were able to answer “how did you prepare the students?” I see this as a missed opportunity! Service based Mission Trips are not my enemy, I’ve done them, enjoyed them and have seen great outcomes. But I believe they become truly missional when we make the tie to the evangelism/discipleship that will take place because of our service. For instance, we took a week to prepare a camp (physically) for a summer of hosting camps. We painted cabins, deep cleaned bathrooms, raked grass clippings and prayed over nearly every foot of the camp knowing that we were preparing the harvest field. In our prep and debrief of the daily duties we were able to motivate our group because of the hope of the eternal life-change that would take place on those grounds. Our service-sacrifice freed up others for the relational-investment they would make in the lives of students all summer. 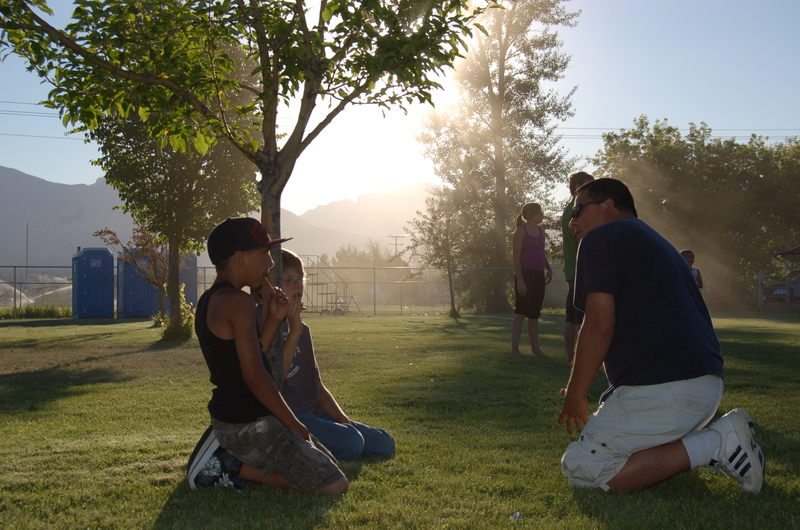 Even though we knew we were not likely going to have evangelism opportunities, we trained students in evangelism so they could relate to and pray for those who would have the opportunity at that camp. But our evangelism training leading into the trip had much more to do with Mission51- the 51 weeks of life outside the one-week trip! Our primary mission is not the trip, it’s our own campus, club, community and church! Where is your mission… trip? Are you failing to connect the social justice acts you do with the eternal justification Jesus makes available for us? Continue to do great things for Jesus, but make the connection to (and tell of) the great things He said as well! As recipients of His great grace, let’s look to share that message with all! P.S. In perusing the mission trips available at NYWC I was pleasantly surprised that a few were focused on more that just the trip and had a strong evangelism connection. I’d invite you to check out Verge and Youth Missions International as two of my favorites!